Kate Fenning is Yorkelee’s owner, founder, and designer. Kate studied graphic design and worked in marketing and advertising at various ad agencies around town, before giving it all up to become proud mother of her two boys. 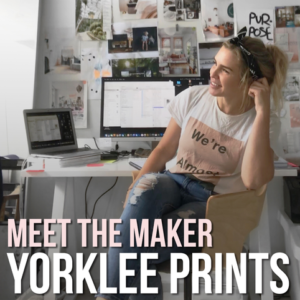 Kate started Yorkelee prints after going on maternity leave, wanting a better work-life balance and doing what she loves – creating art and spending more time with her kids. I’m Kate, Owner of Yorkelee Prints. We are Canberra based, I have two boys, Yorke and Morrissey. My business is Yorkelee Prints, we create inspiring affordable wall art prints for people to use when styling their homes, offices and corporate spaces. There’s nothing more empowering than being your own boss, doing something you love and sharing that passion to inspire others. The people I have met, the businesses I have been fortunate enough to collaborate with and the personal growth which I have experienced since starting this journey. The most rewarding part of doing what I love everyday is to inspire others, share my story and encourage authenticity in everything you do. I feel like you get to a stage where you want to enjoy everyday and owning your own businesses allows you to do that, but also challenge yourself and learn along the way. There’s something special about people that have no fear in expressing themselves creatively, learning from their mistakes and continuing to inspire others no matter what. I feel like people respond emotionally to brands that have similar values and beliefs to theirs. They also purchase emotionally, so if something helps them ‘feel’ good, or evoke an emotion that resinates, they want it. I love our products and feel so grateful and appreciative that others do too. Trial and error. I tested a lot of things when I first started the business and in the process worked out exactly who was purchasing from us. Paying attention to your audience is key. It’s actually really easy if you’re aware and engrossed in what you do. It was an organic process, as we got busier the demand allowed us to expand and put on staff that work full time. I watch a lot of youtube videos, read a lot of relevant information about online business, always looking for ways to improve, be more efficient and innovate. The ability to connect in an authentic way with other women/mums by sharing my own experiences that women can relate to. It took me a long time to work out the balance with kids, it can be challenging juggling the two. I set work hours and although I didn’t always stick to them, it provided structure and allowed me to adapt. Remembering that one of the big reasons I started was to have more work/life balance helps keep things in perspective too. Listening to feedback, from staff, customers and clients. 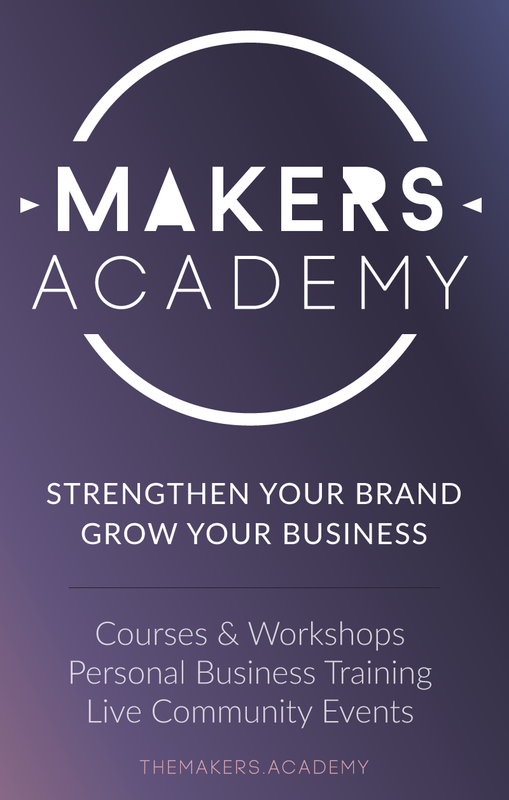 It helps you improve and grow as a business, implementing changes and being adaptable will ensure longevity in your industry. Start your business because you love and have passion for what you’re doing. Perhaps it’s an answer to a question or a problem you want to solve, if you’re doing what you love it doesn’t feel like work. The possibilities are exciting, it’s an amazing feeling when you look back and think about what you’ve achieved. It gives you inspiration for what’s to come and reminds you that you can really do anything you want to…… We’re looking to expand the Yorkelee brand into other areas such as styling and fashion, which is super exciting!